It’s been over two and a half years since Batman v Superman: Dawn of Justice (then without its official title) was announced to the world a few months after Man of Steel was released. This Friday, the movie finally arrives to the public, and while there had been concerns about it earning enough money at the box office to be considered a financial success, that may not be an issue anymore. If early projections are accurate, the blockbuster is already predicted to open at $350 million across 35,000 screens globally. Putting that into perspective, this would make Batman v Superman: Dawn of Justice the second-highest opening movie in the pre-summer and Easter release area, falling behind last year’s Furious 7, which opened at almost $398 million. In terms of all-time global debuts, Furious 7 ranks fourth, so the second DCEU entry would still be turning heads. Breaking down the numbers further, Deadline reports that Batman v Superman: Dawn of Justice is projected to snag $200 million in 61 territories (including China), and "rival distributors" believe it will earn $150 million domestically. Earlier reports indicated the former would be around $140 million, so if the movie surpasses that, it’s exceeding expectations. The movie has also already accumulated between $20-25 million in ticket pre-sales, which is an added bonus. Batman v Superman: Dawn of Justice has been stepping up its marketing and promotional game over the last few months to get both fans and casual moviegoers hyped for its release. However, if you think about it, Warner Bros has been plugging this movie much longer than most studios do with their big releases. The blockbuster released its first teaser nearly two years in advance with that brief footage shown at 2014’s San Diego Comic-Con of the armored Caped Crusader and Man of Steel staring each other down. Okay, so it didn’t get released to the public, but it still counts. 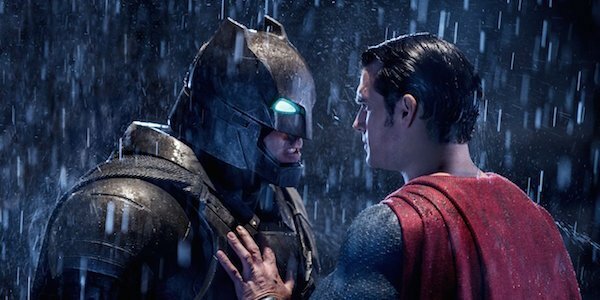 Batman v Superman: Dawn of Justice’s production totals around $250 million, and while it’s undoubtedly going to make that back and then some, the big question is if it will nab enough green for Warner Bros to consider it a job well done. While the commercial numbers are pointing to a strong opening, critically, Batman v Superman: Dawn of Justice is still in uncharted territory. There have already been a few pre-release fan screenings, and social media reactions have been mostly positive. Official reviews arrive later today, so fans should get a good idea of what the movie’s like and how it compares to its DCEU predecessor. Still, even if critical reception is mixed or (God forbid) negative, if these box office predictions prove accurate, then the movie won’t have anything to worry about financially. For those eager to see the Son of Krypton and the Bat of Gotham clash on the big screen for the first time, your wait is almost over, as Batman v Superman: Dawn of Justice arrives in theaters this Friday (or Thursday evening, in some areas). And while you wait, try your hand at some Batman trivia!